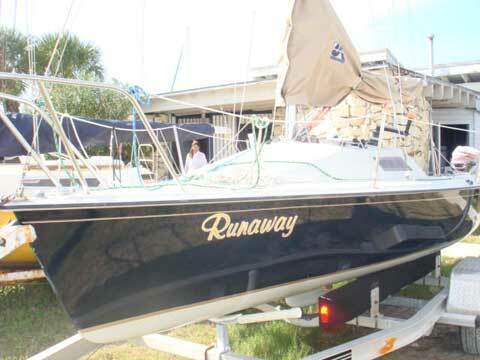 "RunAway" has enjoyed the last two years sailing on Sarasota Bay. 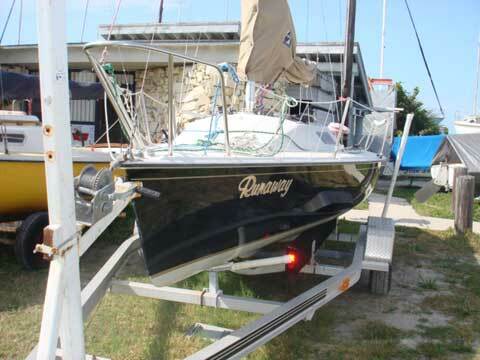 She came from fresh water in Mobile Alabama and had been a pleasure to sail. Upgraded two speed primary winches make sheeting simple, fast & easy. The 6hp 4-Stroke kicker gets you home in a hurry. 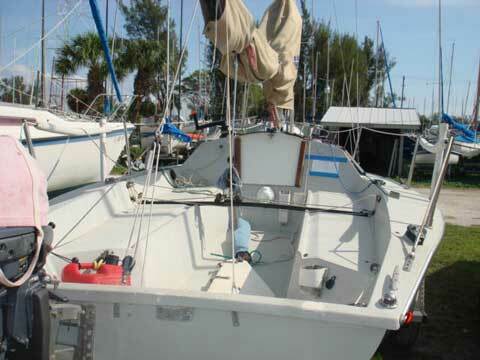 There is NO bottom paint and the lifting keel works is raised from above deck and has a simple lock clutch for safety. 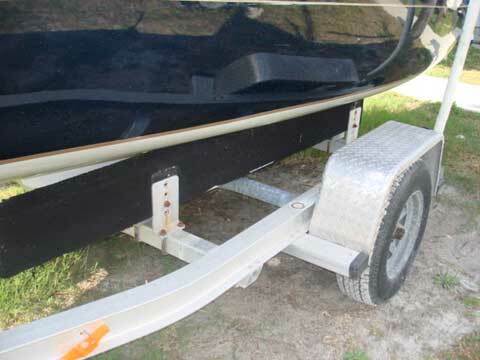 Aluminum trailer has NO rust.